No, we didn't go. We wanted to go, but as in years past, we just didn't quite make it. Next year, we tell ourselves. Next year, we'll go. Comic-Con started out, once upon a time, as a comic book fan convention. Founded in 1970, the first three-day convention drew three hundred people. Today, it's so much more. 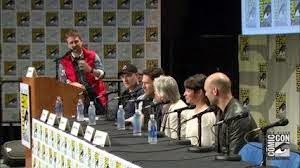 With an estimated 130,000+ in attendance, the 2014 Comic-Con International had something for everyone: comic books, toys, games, a costume competition, an art show, portfolio reviews and movie screenings. They bring together comic book creators, sci-fi and fantasy authors and publishers, and TV and film producers, directors, writers and actors. 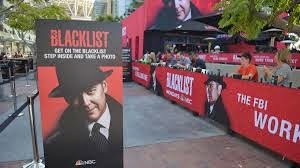 And for those of us unable to attend, there's a live feed of information, a Comic-Con blog, and a multitude of videos of the various panels. Last night, Collin followed the live feed and we watched videos of some of the panels, like the Avengers: Age of Ultron and Ant-Man panels. He was proud of himself--he predicted the release dates of some of the movies on Marvel's Phase 3 and 4 schedules. Guardians of the Galaxy won't be in theaters until Friday, but they already have a sequel on the schedule. Kudos to local boy turned hot director James Gunn (yep, he's from St. Louis--why didn't we get the premiere?). The Avengers: Age of Ultron panel featured five of the six original Avengers (Scarlett Johannson, aka Black Widow, was unable to attend due to impending due date), new cast members (including James Spader, who voices Ultron--a busy man, as he was also on the panel for his TV show, The Blacklist) and Joss Whedon and Marvel Studios head guy Kevin Feige. We really have to wait a year for this movie? Wasn't I just whining a few weeks ago about having to wait for Guardians of the Galaxy? What if I get hit by a submarine in the middle of Market Street before they're released? Don't laugh. My agent said it could happen. Not to anyone else...just to me. I wonder what she meant by that? PS After much consideration, Collin and I decided to go back to publishing exclusively with Amazon KDP Select. The sales (and other advantages) there are good enough to warrant such a move--so tomorrow through Thursday, The Unicorn's Daughter will be free. Chasing the Wind will be free Thursday through Saturday, Angels at Midnight on August 4-6, and Alexander's Empire on August 7-9. Within the next month, paperback editions will also be made available through Amazon. Just keep your eyes out for any out of their place submarines lurking about St. Louis. 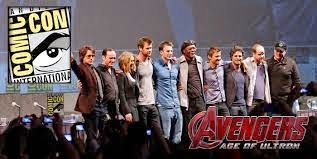 Yes, it's a whole extra year to Avengers. Be patient! If I find one, it won't be the first thing in St. Louis that's not where it should be! A whole year? At the rate I'm going, I won't be here next year! Glad I'm not a big comic fan! Waiting for anything I eagerly anticipate is the pits! You have the right idea about staying young and enjoying fantasy and comics. Aimee loves Comic-con she was thrilled to have her photo taken with John Barrymore from Torchwood this year :) yourself and Colin will just have to get there next year Norma! @ Eve: One of my fellow (local) authors once said Collin was the adult in our house. @ Grace: We'll get there! They have one in St. Louis...but I was pretty sick when it was in town. I'm jinxed! When I lived in California, I drove the kids and friends (booked hotels) for several anime con and of course comic com. They do get somewhat hot and stinky but way too much fun. I loved them all. We finally get to see Guardians of the Galaxy this week. My birthday is next week, so we're celebrating a little early with lunch at TGI Fridays and the movie! Now that sounds like fun ! and because of you, I will go to the theater and see this movie. But not the first week. Too many people. As for comic con we should go to one and decorate up our walkers as spaceships and we could be aliens ! You wanna go? Collin wants to take the train...we could come through Tuscon and get you and we'll all go together! I do the same thing. I always say, I'm gonna go to the one they have in Tampa. But I never make it. Good luck with your sales, Norma. @ Shelly : Collin's determined to go next year. He wants to start planning now...we'll see how that goes! @ Ivy: Amazon offers some really good incentives for exclusivity, so we figure we'll see how it goes! We're going to make editions for other e-readers available through our website. P.s. Norma did I mention before how gorgeous your header shot is.. Are they a type of orchid? Grace--they're Stargazer Lilies, one of my two favorite flowers! 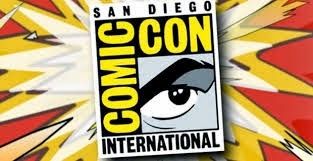 Hope you can make it to Comic-Con next year! I'm not into comic books, but it sounds like lots of fun:)!